Here at TDS, we strongly believe the concept of a diverse and inclusionary workforce—and are making strides to make that happen. You might even say we’re Planting the Seeds of Inclusion. Appearing in the June issue of ISE Magazine, “Planting the Seeds of Inclusion” highlights our efforts to create a more diverse and inclusive workforce. We believe Employee Resource Groups — developed by employees, based on employee interests — are integral to fostering a more inclusive workforce. In fact, they are so important we have several of them with plans to create more during the coming months. 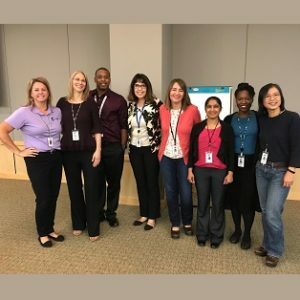 While each of Employee Resource Group has a different focus and mission, they are all about building small, connected communities within our company. While we are making strides, we recognize there’s much to do in order to truly create an inclusive workforce — one that’s fully representative of the communities we serve. By doing this, we’re confident we will foster more creative viewpoints and find synergies that will ultimately lead to better products, services, and experiences for you!